DALLAS  Sept. 28, 2016 Today, the U.S. Environmental Protection Agency (EPA) announced the proposed plan to address contamination at the San Jacinto waste pits Superfund site in Harris County, Texas. After careful review of all available information, EPAs preferred remedy proposes removing a total of about 202,000 cubic yards of contaminated material from the northern and southern impoundments at a cost of nearly $96.9 million. The plan will be open for public comment for 60 days, beginning Thursday, September 29, and ending Monday, November 28. EPA will also host a public meeting at the Highlands Community Center in Highlands, Texas on October 20, 2016, where members of the community will be invited to offer comment. EPA will share further details closer to the date of the public meeting. After the public comment period has ended, EPA will carefully consider and prepare a response to the comments, and announce the selection of the final remedy. EPA may select a different alternative or a modified version of the preferred remedy based on new information or public comments. The proposed plan presents a summary of the risks associated with the hazardous substances at the site, including dioxins and furans; a summary of remedial alternatives; and the preferred remedy to address the contamination at the site. EPA has also released its administrative record, which consists of all the 800-900 documents used to support its preferred remedy. Specifically, the preferred remedy calls for a $87 million cleanup to remove an estimated 152,000 cubic yards of materials exceeding EPAs public health-based cleanup levels, install institutional controls, and monitor the natural recovery for the northern impoundment; and a $9.9 million cleanup to remove an additional 50,000 cubic yards of materials for offsite disposal of waste materials from the southern impoundment. The San Jacinto waste pits site consists of impoundments dug near the San Jacinto River in the 1960s to hold toxic waste from a paper mill. EPA added the site to the National Priorities List of Superfund sites in 2008, after testing revealed contamination from dioxins and furans near the waste pits. 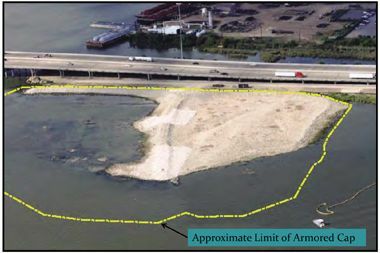 EPA is the lead agency for addressing the site and cleaning up the contamination, with support from several state partners and the U.S. Army Corps of Engineers. Public Comments can be presented at the public meeting or submitted during the public comment period from September 29, 2016, through November 28, 2016 by online form, email or USPS. Online: www.epa.gov/tx/forms/sjrwp-comments Email: R6_San_Jacinto_Waste_Pits _Comments@epa.gov.